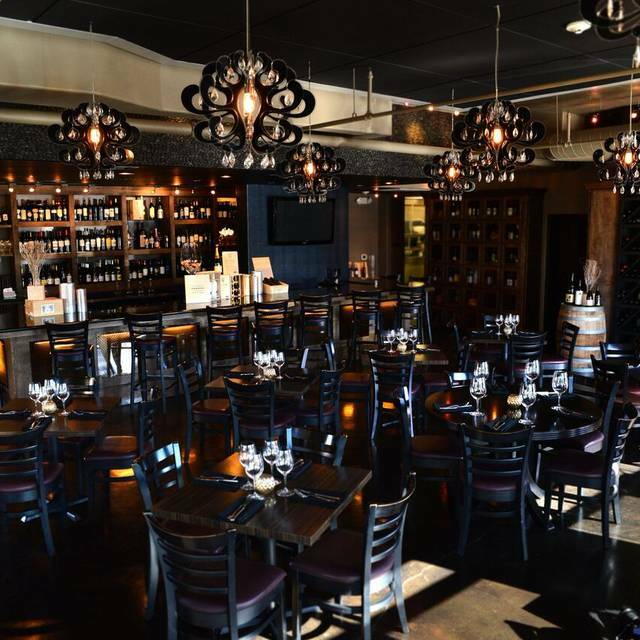 "d’Vine Wine Bar is an industrial-neighborhood inspired wine bar and bistro located in Cypress, TX. 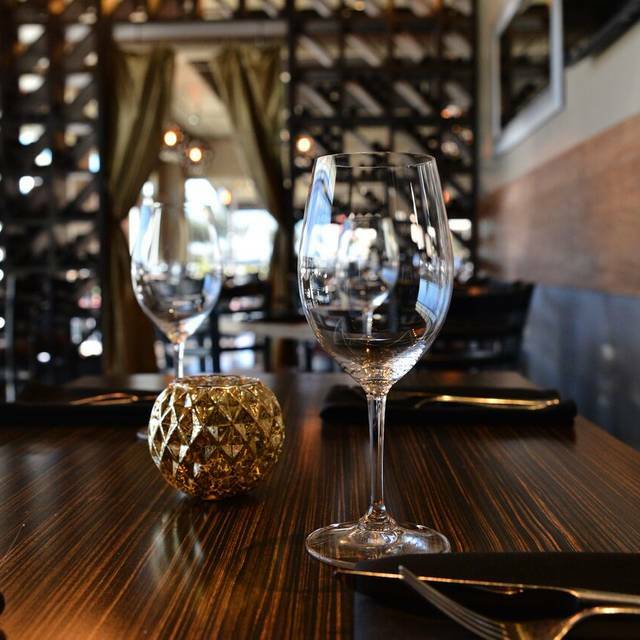 We offer a sophisticated hand-selected wine list, accompanied by our spin on international fusion and bistro style cuisine. We welcome our guests with unparalleled quality and unpretentious personal service within a relaxed and appealing atmosphere. At d’Vine, our concept is simple: We like to drink wine; and when we experience a revelation in a bottle, we add it to our wine list and share it with you, simple as that. 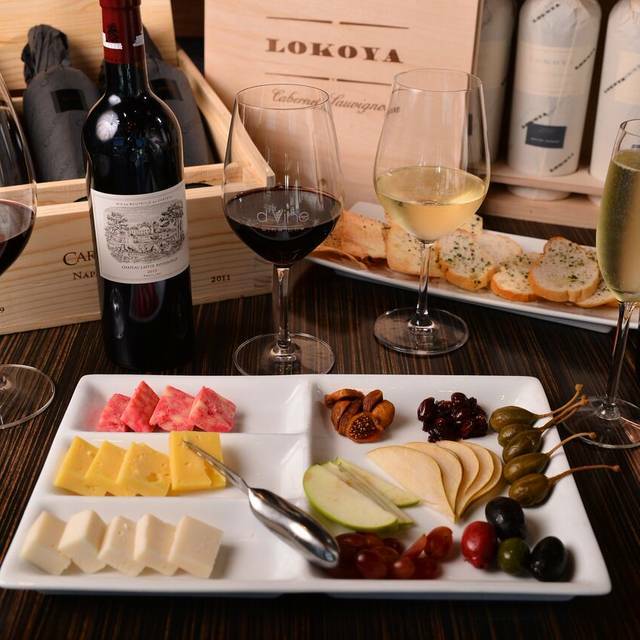 Allow us to share our love for food and wine with you, please join us." Best food in Cypress IMO! If you haven’t been, definitely try it! You won’t be disappointed. Lobster risotto excellent, rack of lamb excellent, steak excellent! Even on a slow night it was pretty loud here. Generally speaking food, wine and service was okay, but the toast points on the beef appetizer busted a tooth (figuratively) and the risotto was meh. The beef on the appetizer was good as was the lobster Mac. Flatbreads were just okay. They delivered my son’s Shirley in a gigantic wine glass which was fun. I just couldn’t get by those toast rocks, I guess I should have retuned the app because that was clearly bad, bad, bad like the kitchen had some leftover bread the management forced them to use. Just terrible and really ruined my meal. 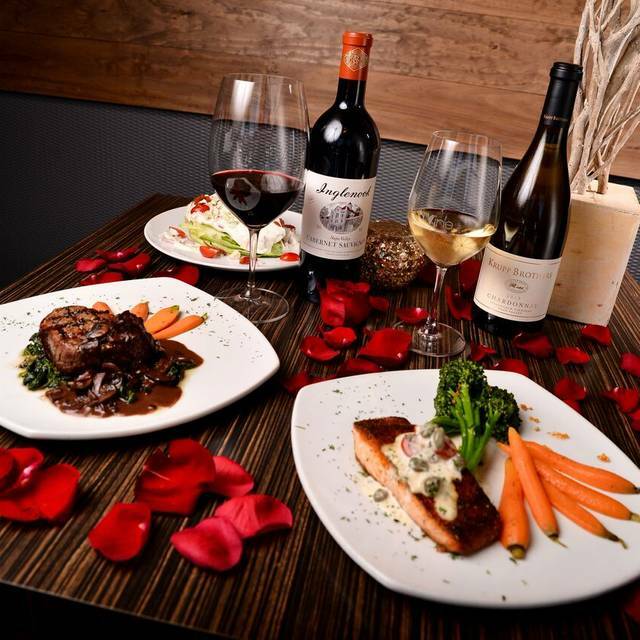 We had an excellent Valentines dinner from their set menu. Service was excellent as well. They have significantly improved their service! Valentines Day. Our first Valentines Day together was celebrated here 6 years ago and this place still is an exceptional dining and drinking experience! Very friendly and accommodating staff and the owners are outstanding people . We HIGHLY recommend DVINE to everyone we know . THANX DVINE for another memorable VALENTINES DAY! Live music is great, but loud. Choose to sit in the side room. Lamb cooked perfect fly. Great selection of cheese. Had a fabulous night with wine flights and fabulous food! We had dinner at d'Vine on New Year's Eve. We chose the restaurant, since based on the menu from their website. When we arrived, they informed us that we could not order from the menu due to the holiday crowds. (It wasn't that crowded). After ordering all of our courses at once - as they required, we noted that other tables were allowed to order from the menu. It was New Year's Eve, so we decided to go with the flow. The service was horrible. We waited forever between courses, the waiter never stopped by to check on our food, and he placed the check on the table without saying a word as he rushed by to serve another table. There was a 20% tip added to our bill for this fine service, although we only had a table of 3. No one acknowledged us as we left the restaurant. We won't be back anytime soon. Had reservations but no hostess to seat us. Cheese board came after the main course. No one ever asked if we wanted a refill of wine. They were very apologetic but for the price I expect better customer service. I would recommend to others but tell them up front about customer service is lacking. And never got silverware - had to pick at cheese board with fingers, luckily we had flatbreads as the entree. A joke. Not a good one. Save your money. The crab and asparagus appetizer is pictured. You will note a lack of crab - as did my wife and I. It took an hour to come out of the kitchen. Should I have waited another hour for crab? By the time we realized it, servers and managers were too busy ignoring other disappointed customers to speak with so we just paid and left. I stopped going over a year ago and now I remember why. The restaurant is small, but cute. There is a nice and fairly spacious private room if you wish to have a private gathering. Service was a little slow, but the food was excellent. I had the bacon wrapped diver scallops with mushroom risotto. It was the best risotto I’ve had from any restaurant. I will definitely be returning to dine again. Awesome spot, will be back!! We live in New Jersey by the Rockland County birder and always go to D’vine Bar in Soarkill, New York !!! On open table - I thought I was reserving at my regular, frequent location. NOT TEXAS!!! Doesn’t open table recognize location or frequent favorites ? We were never in Texas so IGNORE Texas review here!!! Everything was perfect! The side salad was a great start! It was original and had a great homemade dressing. My husband got the ribeye and the onion rings side was INCREDIBLE! They tasted like they were dipped in funnel cake batter. The chicken picatta was delicious. I ordered brocollini and spinach sides and both were perfect. I loved the bubbles flight. We will def be going back. d'Vine never fails to exceed our expectations. My wife and I have been three times in the last four months and they never fail to exceed our expectations. They have a great wine selection and the tapas are on point. The meat and cheese tray is a great way to start off any trip. The afternoon happy hour croud is more spun up. I personally think that this is a good thing. I'm like that after work too...i just want to wine down lol. The evening is all about romance and fun. Candles on the table, laughter in the air, and a great glass of wine in your hands. Whether it's a birthday, anniversary, or just a night out, you can't go wrong here. I recently tried for the first time with friends. The food and service was so wonderful that I went back the next week for a business dinner. Everyone in the group was impressed! The best place in Cypress! We went here on Valentine's Day, first time ever visiting this restaurant and the service was absolutely horrible. I realize it was a busy day but you would think you would know this being in the business and had been more prepared for it. No server even visited our table to take our drink order until after we had been sitting for 30 minutes. And then when we ordered our food it took an hour and 15 minutes to get it. To top it off, we had reservations at 7:30 and half the food we ordered they were already out of it. I am pretty sure that we will never visit this restaurant again. The food was good but having good service is also one of my main reasons for returning to a restaurant. AMAZING food. And not just “good for Cypress “. Everything was expertly prepared and beautifully presented. But we have never felt so unwelcome at an establishment. Actually had a waiter roll his eyes when we wanted to order desert. He was ready to bring the check and get us out of there. Hopefully he was just having a bad night, because the food is worth the visit. It was a Valentine’s Day celebration and it could not have gone better. Luis and Daniel took very good care of us and the food and wine were top notch. We love this place! D'Vine Wine is my local go-to for a nice evening. 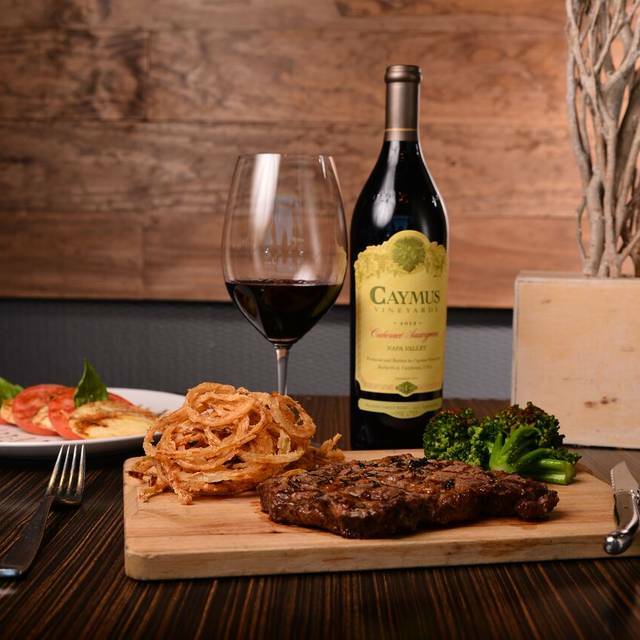 Great food, above average wine list and exceptional service. I'm afraid 290 construction has recently put a dent in their attendance and am hoping that comes to an end for them very soon! I encourage you to give this gem a try. Consistent food, nice wine flights and friendly, attentive service! We've been here many times, always have good food and enjoy the ambiance (and, when weather permits, patio dining). On this occasion I'll say that we had a fairly rough time getting our server's attention, no doubt due to the large group seated next to us just after we arrived. C'mon, we made reservations. If the large group didn't, then you shouldn't have seated them at the expense of giving us proper extension. If the large group DID have reservations, then you weren't properly staffed for the reservations you took. Either way, I would fault management rather than the server. Fantastic! Best experience in Cypress, and it’s not even close. Highly recommend, and we will be back. What a pleasant and unexpected surprise. For the longest time, I thought this was just a “wine” place where the food might be an afterthought. Not so. We were wowed by the food, and our flights of wine were generously poured and delicious. 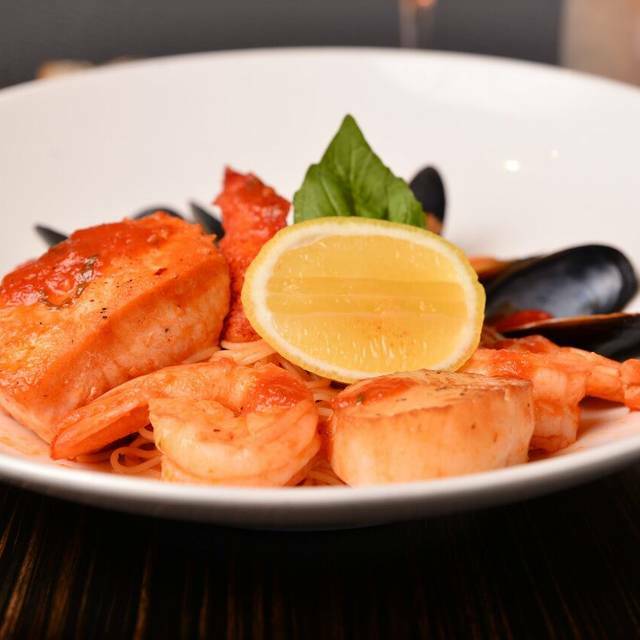 The cheese board, scallops, shrimp with plantains and lobster enchiladas would hold their own against many of the restaurants we’ve frequented near the Galleria, Memorial, Montrose and Heights areas. To finally have better quality international cuisine in Cypress (and not second rate Mexican/Italian/chain food) is something worth celebrating. Hooray! I always enjoy coming here. The manager is very knowledgeable about the wine they carry and offers great suggestions. The food is great and never disappoints. This place is closed on Mondays. Yet, we booked a reservation on open table and sent an entire party of people to a closed place. Super disappointing. This was my first time going. The food was excellent and the wine selection was very good. It was our second date and my date was very impressed with my choice of place. I would highly recommend this place for a quiet romantic evening. Food was great! We went for our anniversary. We had the tapas rather than an entree: ceviche, smoked lamb chops, mussels in tomato sauce, the lobster mac &cheese, & pork empanadas! We had wine& dessert (creme brûlée and key lime pie) too and were pleasantly surprised by the check too! I would have paid more. This one is a true hidden gem. It's a first-class restaurant masquerading as a wine bar. 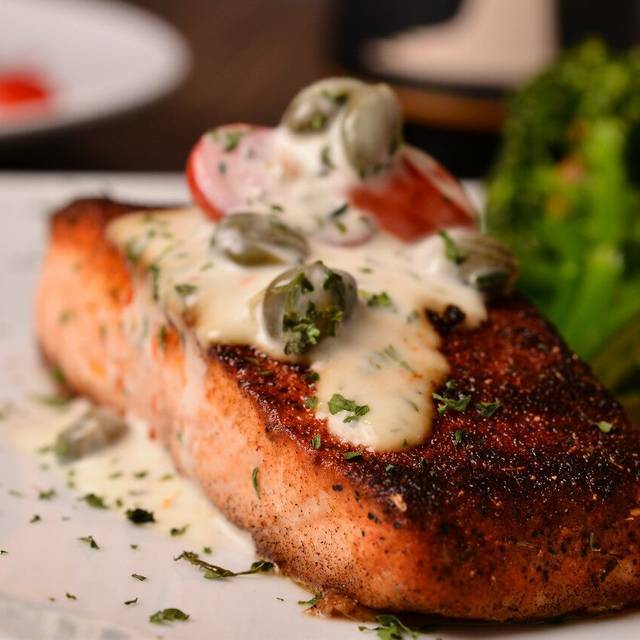 Talk to the friendly and talented chef about what's fresh on the menu, and you will not be disappointed. 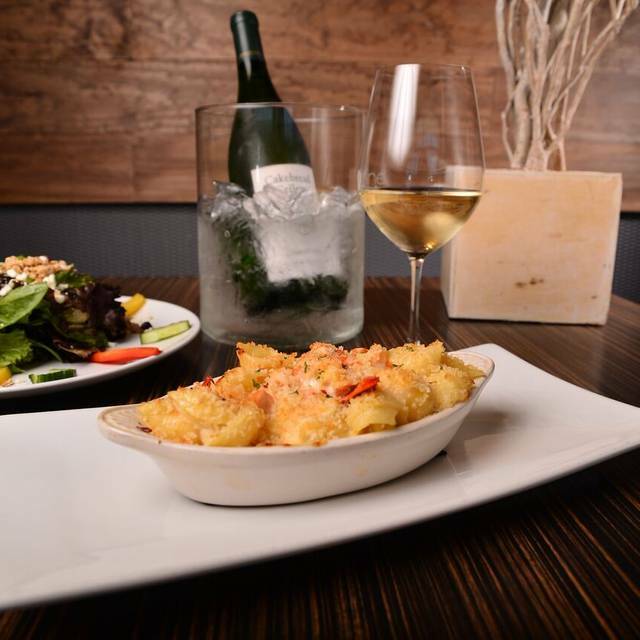 We always enjoy a great meal, great wine, and great service when we come to D'Vine! The food and wine were wonderful! 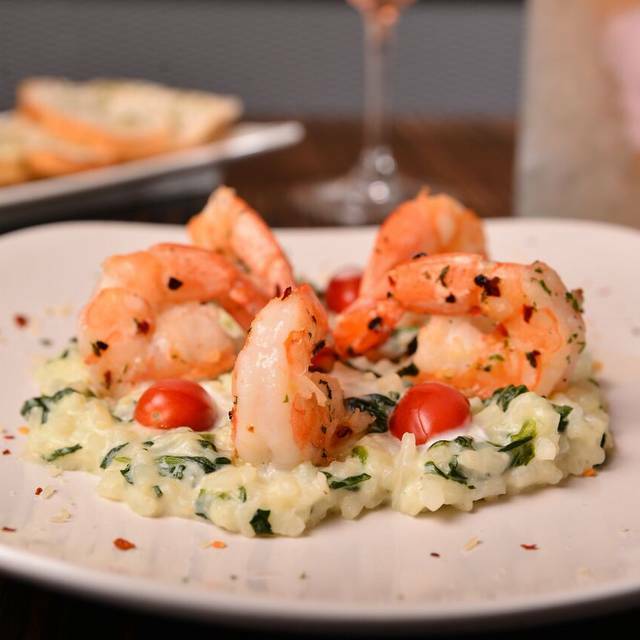 I had the delicious Lobster Rissoto and my husband had the Rodeo Special- a three course meal at an incredible value. Ordered blacken chops. They were not blackened, suppose to have tabacco string onions and they gave me onion rings. No white truffle drizzle and the garlic mash had no garlic taste. No high chair for our grand baby. Cypress still lacks a fine diner. We had a reservation but were told that everyone arrived late so we didn't have a table - although we were on time.....-but given a glass of champagne. We stood for 30 minutes literally in the middle of the restaurant as there is no real waiting area. Finally had our table ready and we sat for 15 minutes with no menu, water, silverware - nothing. People bustling all around us like we were invisible. Finally someone realized we were there and brought us menus. But the whole night was a bust. The food was ok - mediocre. Wine was ok but they didn't have what we ordered and substituted it out without asking us. Second time we have been here and both times were so disappointing. I was really excited to try this place. We never go out for Valentine's Day but I was off of work this time. No one alerted us to the fact that it was a set menu. I was looking forward to all of the small plates and cheese trays they usually serve. Service was horrible. Took at least ten minutes for anyone to come to the table when we sat. Took even longer to get a wine list. Asked for a few simple items throughout the dinner (lemons for water, salt and pepper, an extra plate) and NEVER RECEIVED ANY OF IT. Had a Valentine's dinner with my wife. Took way too long for someone to finally ask for our drink order, but the food was excellent. The food and wine never disappoint, great wait staff and priced appropriately. Some of our dishes were great. Others were good but not really what the menu described. The servers were not very friendly. We had a good time regardless. We would go back. The wine was good.